Churan is one of the best things which everyone wants to consume. As churan has the trust factor. So most people prefer to use it especially in case of digestion or constipation problems. 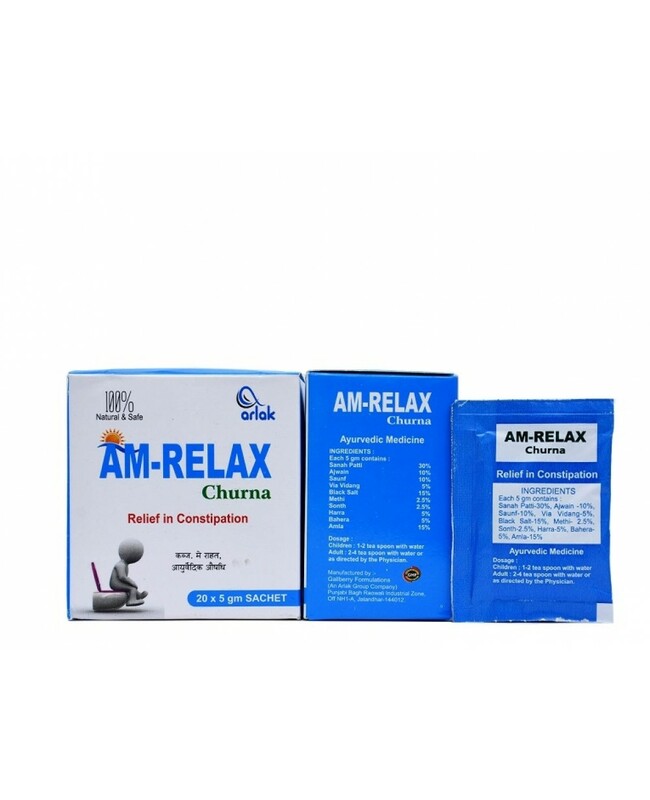 So we bring you best churan to relieve constipation named Arlak AM Relax Churan Sachet. It is basically a powdered form product which comes in a small sachet and can be used one time. It consists of following ingredients like Sanah patti, Ajwain, Saunf, Via Vidang, Black Salt, Methi, Sonth, Harra, Bahera & Amla. Each ingredient has its own role and helps in relieving all the symptoms of Constipation. 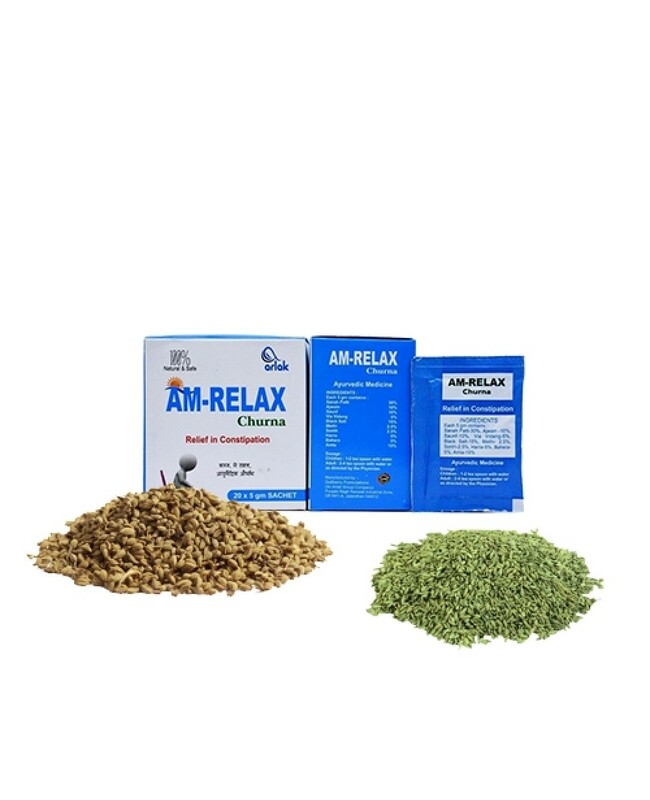 It helps in improving digestion and treat all types of constipation like Chronic constipation etc. It also prevents from the symptoms that lead to indigestion. Consume One Tablespoon with lukewarm water before going to bed.